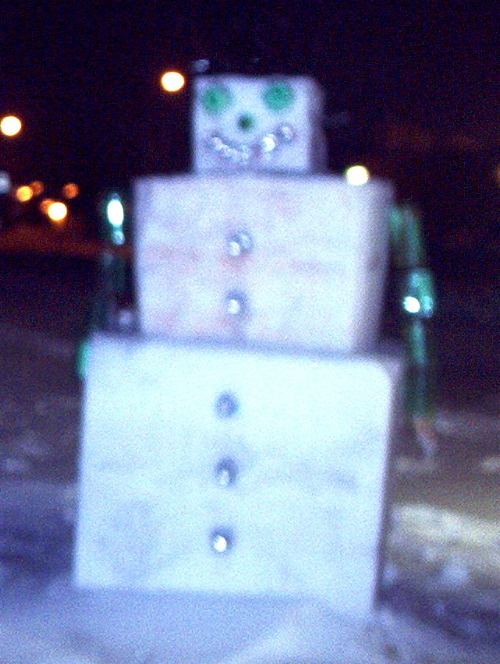 This is a snowman made entirely out of snow-cubes. He rocks. Some hooligans tore him down, but then they rebuilt him! But then some hooligans tore him down again.